The secret to a great, stress-free cruise is having the right resources and planning in advance. Learn how to save money on your next cruise, eliminate problems, and make your vacation the best ever. Holiday river cruises provide guests with the opportunity to visit Christmas markets in some of Europe’s historic cities and charming towns. If you'd like to sample the holiday markets experience closer to home, visit one of these top ten North American Christmas markets for a taste of the magic. For many first-time cruisers, planning a cruise vacation can seem a bit overwhelming. There are lots of details and choices involved. If you're planning your first cruise vacation, check out these ten great tips. Alaska cruises are one of this year's hottest vacations. On these spectacular cruises, guests can view Alaska’s stunning scenery and incredible wildlife while taking part in amazing adventures and bucket-list experiences. Here are ten great tips for planning an awesome Alaska cruise. In today’s world, the emphasis is on collecting extraordinary experiences rather than things. This is particularly true for ardent travelers. If you’re in the market for an exceptional cruise vacation filled with lifelong memories, put these voyages at the top of your bucket list. Many cruise guests enjoy vacationing with brands they know and love. Brands add value and today’s travelers are increasingly attracted to these kinds of experiences. Here are five reasons why cruising with your favorite brand can create memorable moments and add so much to your vacation. Cruising and Walt Disney World go hand-in-hand, especially for vacationers who love the Disney parks and characters. It’s easy to add a trip to Walt Disney World to your cruise out of Florida or from ports along the Eastern Seaboard. Here are five ways to add Walt Disney World to your next cruise. Cruise vacations offer a wide range of appealing dining and culinary options, both on land and at sea. In fact, culinary experiences are ranked as one of the top aspects of a cruise vacation. If you want to turn your cruise vacation into a true culinary experience, here are five suggestions. River cruising is a leading travel trend according to recent surveys. Travel experts expect the strong growth in river cruising to continue and it’s easy to understand why. Here are seven appealing aspects of river cruising to consider when comparing this experience with an ocean cruise vacation. Grand Turk is one of the top rated ports of call on Eastern Caribbean cruise itineraries. Cruise guests typically fall in love with Grand Turk's stunning white sand beaches, superb water sports and the island's laid-back vibe. Here are seven of the best Grand Turk shore excursions to consider. Many cruise-loving parents assume that the best family all–inclusive vacations are located outside the United States, but that’s not the case. There are a number of great options. If you're looking for a U.S. all-inclusive property for your next family vacation, check out these seven suggestions. Travelers often drive to their vacation destination, whether it's a land-based holiday or a cruise embarkation point. Costs can mount up on driving trips and overnight stays, however, so it's important to plan ahead. Here are seven money-saving tips that will help cut costs on your next trip. Cruising alone can be an incredible experience. Although many vacationers shy away from traveling alone, taking a cruise by yourself can be a wonderful way to get some well-deserved “me time” to spend just the way you would like. Here are seven great reasons to cruise solo on your next vacation. Canadian Maritimes cruises are spectacular. These scenic sailings offer exciting shore excursions and experiences to match a wide range of interests. Cooler temperatures can make these itineraries appealing as well. Here are seven great reasons to consider taking a Canada cruise this year. International vacations require a bit more advance preparation than other trips. There are a number of things that need to be done in order for travels to go smoothly. Here are seven things to do in advance if you’re planning an international trip. Cruises are a popular vacation choice for families with teens. Today’s cruise ships are filled with teen clubs, thrilling attractions and high-energy activities. If you’re planning to take a cruise with teens, here are seven tips to make your family cruise vacation the best ever. Norway is a scenic paradise filled with extraordinary places to explore. Seeing Norway’s magnificent fjords by water provides the best possible experience, which is one of the many reasons Norway cruises are so popular. Here are seven great tips to help you plan your Norwegian Fjords cruise. If you’re thinking about your next vacation, it’s important to start saving money now to make your travel dreams come true. There are so many ways to put together money for your next trip. Some may seem small, but they can add up to big savings. Here are nine great ways to save for your vacation. Family vacations have changed over the years, particularly family cruise vacations. Cruise lines have come to understand that families are vacationing differently than in the past. Here are some of the new attractions and amenities being offered to cater to families and exceed their expectations. Many of today’s cruise vacationers are seeking immersive travel experiences, allowing them to fully experience the destinations they visit. If you're seeking a small ship European cruise experience, check out this international cruise line offering voyages with a distinctive French flair. 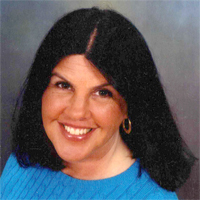 Cruising in Europe can be a highly personalized experience with proper planning. It’s important to think about your goals for your European vacation and the kinds of memories you want to make. If you’re planning a European vacation, here are five great cruise experiences to consider for your trip. Short cruises are perfect for today's vacationers. These 3- to 5-day sailings depart from a wide variety of U.S. and European ports, making them easily accessible. When planning a short cruise, it's important to pick the ship and itinerary that best fits your needs and interests. Cruises offer guests the opportunity to sample a number of Caribbean islands and then return to their favorites for a longer visit. While it’s hard to get to know an island in such a short time, one can get a sense of its people. That’s one reason why cruise passengers often return to Jamaica. Puerto Vallarta is one of the loveliest cruise ports on Mexico's Pacific Coast. This colonial city has magnificent architecture, great shopping, and excellent opportunities for tours and adventures. In addition, this tropical oasis is a watersports mecca with activities to match every interest. Cruising is an excellent choice for a family vacation, even for families with little ones ages six months and older. Cruise line offerings for young children vary substantially, however. Parents must carefully research their options and choose a ship that will maximize their vacation enjoyment. When travelers think of journeying to Machu Picchu, most think of hiking the Inca Trail. This classic hike over a period of several days takes trekkers through the Peruvian Andes. There are other alternatives, however, that open the Machu Picchu experience up to a wider range of vacationers. Looking for an inexpensive way to escape winter’s chilly temperatures? A 3- to 5-night cruise may be the answer. These cruises depart from a variety of U.S. ports, sometimes eliminating expensive flights. In addition, their comparatively low cost can make them an excellent winter vacation value. Thinking about combining a cruise from Miami with a relaxing pre- or post-cruise getaway? Drive to the Florida Keys for a few days and enjoy its beautiful resorts, nature-oriented attractions and exciting ecotours. If you're planning to visit, here are five great things to do in the Florida Keys. Thinking about combining a cruise from Miami with a relaxing pre- or post-cruise getaway? Head to the nearby Florida Keys. This chain of islands is known for its nature-oriented attractions, expansive coral reef for snorkeling and diving, soft adventure opportunities, historic sites and more. There are a number of excellent resources available to help plan your days in each cruise port of call. Using these will help you to get the most out of your cruise experience and save money as well. Research your ports of call far in advance of your cruise, as popular tours can sell out quickly. Many parents take their children on Mediterranean cruises, but Europe’s Baltic region is a gem as well. Baltic cruise itineraries allow families to experience a enchanting cities with unique cultures and historic past. Here are five tips to help you plan a great Baltic family cruise vacation. Taking a vacation to somewhere new can be stressful, but many travelers are interested in trying out new destinations and different cruise ships. 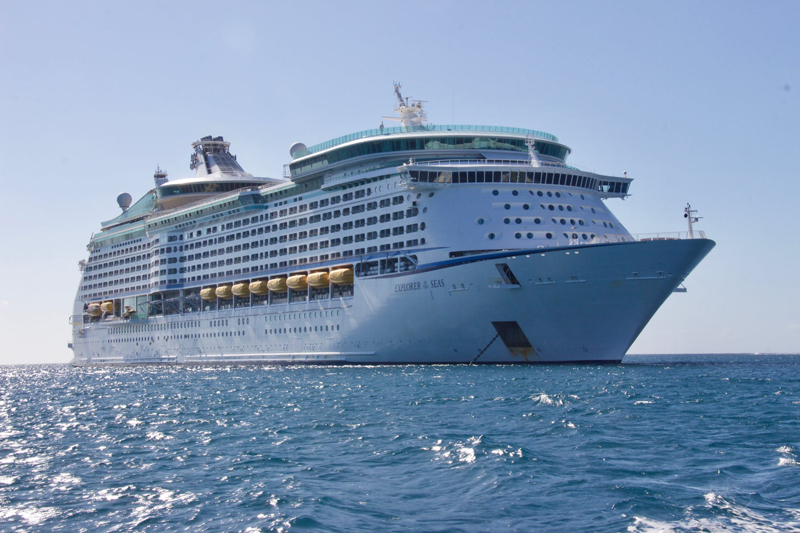 Careful planning can make the difference in guaranteeing a fun cruise holiday. Here are five things to do to ensure that you’ll enjoy your next cruise. Looking for an inexpensive vacation escape? A short cruise may be just the answer. These cruises depart from a wide variety of U.S. and international ports, eliminating expensive flights and making these vacations very convenient. Learn more to see if a short cruise getaway is right for you. Maine is one of the most naturally beautiful areas in the world, with over 3500 miles of rugged coastline and thousands of lakes to explore. It’s the perfect place to get out on the water, either on a peaceful lake or on the ocean. There are a number of ways to create an idyllic vacation here. Many cruise passengers are attracted to small ship cruises. These smaller vessels can often go to pristine spots where large ships can’t travel. The price tag for these cruises, however, can be more than some can afford. Here are five tips to get the feel of a small ship experience on a budget. Many of today’s travelers are seeking opportunities to give back on their vacations. Over the last decade, interest in voluntourism has grown significantly. Now, vacationers can opt for a social impact cruise experience that makes these kinds of experiences easy, rewarding and truly beneficial. Theme cruises are popular with today's cruise vacationers. These events give guests an opportunity to hear their favorite stars in concert and meet other fans with the same interests. A new alternative allows music lovers to cruise and have the same concert experience at a fraction of the cost. Bermuda cruises are very popular this year, so start planning now. This stunning island is well known for its beautiful pink sand beaches, turquoise seas, exciting water sports, active adventures and historic attractions. Cruises are a great value-oriented way to explore Bermuda as well. Celebrate the season with a fun-filled holiday escape this year. Holiday-themed cruises and attraction-filled parks and resorts are fantastic choices for a fun-filled holiday vacation or a pre-holiday escape. Get in the spirit of the season and check out these great ideas for your holiday getaway. As Thanksgiving draws closer, thoughts turn toward planning a festive holiday celebration. Since families are living farther away from each other than at any time in history, sometimes it’s easier to meet on a Thanksgiving cruise. Great last minute deals are available, too. Here are six tips. As the holidays draw to a close and the New Year begins, thoughts often turn to taking a post-holiday vacation to relax and de-stress. There’s good news for those dreaming of taking a post-holiday escape to the tropics. Cruises during post-holiday time periods can often be quite inexpensive. Many vacationers seek out upscale land-based mega-resorts loaded with a wide variety of restaurants, activities and entertainment. There’s no need to be land-locked any more, however. Some of today's ships offer same type of stellar, high energy mega-resort experiences at sea. For the most memorable cruise vacation experience, choose a ship that's packed with great restaurants, bars, entertainment and attractions. Some of today's top ships offer a wide array of amenities, making the ship an outstanding vacation destination. Pick a ship with something for everyone. Credit cards can be one of the safest ways to pay for items while you are traveling. If you are counting on using credit cards for the bulk of your purchases on your trip, there are a few things you should know. Here are some tips for making sure your credit cards are ready for travel. When hurricanes and other travel issues develop, vacationers often start thinking about changing their travel plans. Those who have purchased travel insurance may be protected, depending upon the specific coverage offered by their policies. Here are some key tips for purchasing travel insurance. If you're thinking of planning a last minute summer getaway, consider taking a cruise. Cruises can will take you to beautiful tropical beaches or perhaps somewhere even more exotic, often at low last minute fares. Here are five tips to help you uncover great last minute summer vacation deals. If you’re dreaming of swaying palm trees and beautiful beaches, start planning your next tropical island trip. Small ship cruises and ferry itineraries make it easy to reach spectacular unspoiled spots. Here are five best bucket list destinations that should be at the top of your vacation list. If you're looking for an opportunity to give back on your next vacation, think about combining community service with a cruise. A number of cruise itineraries are well-suited for cruising on a mission, since ships visit many ports where schools and other community organizations need help. If you're planning a to combine a vacation in Orlando with a cruise leaving from Port Canaveral, there are many ways to stretch your travel dollars. Here are 10 great budget-saving travel tips help you find deals, save money, and get the most out of your Orlando pre- or post-cruise vacation. Located just 90 miles from the United States, Cuba is one of today’s most exciting destinations for vacationers. Cruises to the island make it an easy-to-reach Caribbean vacation destination. Visitors to Cuba can experience its cultural treasures, historic sites and vibrant music and arts scene. Volunteering on cruise vacations is growing in popularity with cruise guests. There are many ways to make a difference, from giving back at sea, in ports of call, or pre- or post-cruise with organizations in U.S. cities. Check out these options for volunteering in four leading U.S. home ports. Vacationers often start checking the weather forecast for their Caribbean cruise weeks before their trip, no matter what the season. Lack of sunshine can be a worry, but there’s no reason to stress if you’ve planned correctly. 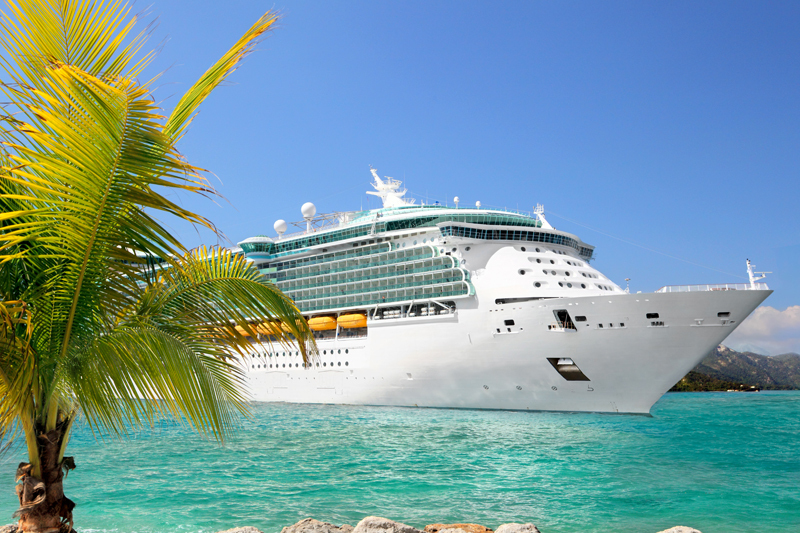 Weatherproof your vacation by choosing the right ship for your cruise.